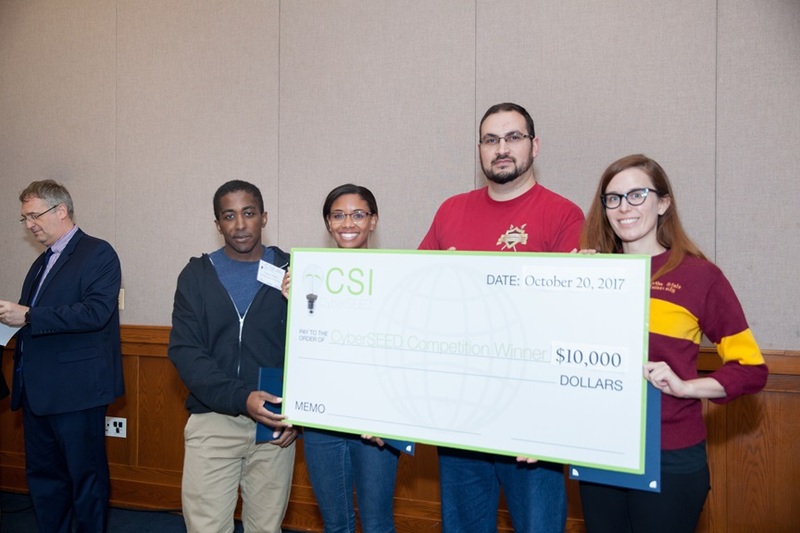 Over the month of October, students from the Florida State University Cybersecurity Club traveled to three on-site competitions where they ranked among the top competitors. 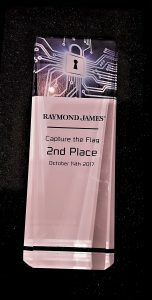 Students were presented with the opportunity to participate in the Raymond James Capture the Flag (CTF), in which our team won 2nd place and were awarded a trophy and $5,000. Additionally, students traveled to two distinct events, Capture the Flag and Social Engineering, at CSI CyberSEED. In the Social Engineering competition, the FSU team had an amazing 1st place finish, taking home $10,000. Furthermore, the group of students who competed in the Capture the Flag competition finished in 4th place. 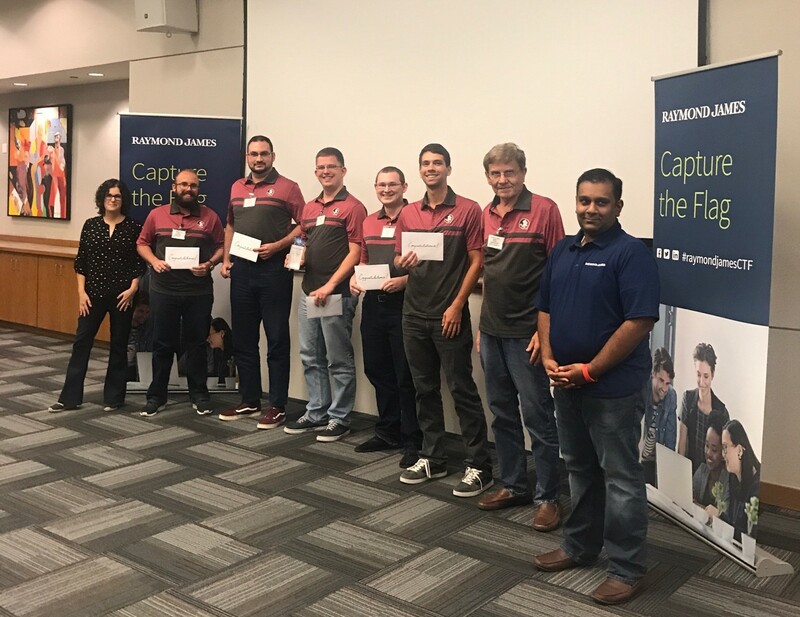 On October 14th, five students studying Cybersecurity including Mitch Schmidt, Shawn Stone, Douglas Hennenfent, Nathan Nye, and Brandon Everhart traveled to St. Petersburg, Florida to compete in the Raymond James CTF. They were accompanied by a faculty advisor, Dr. Mike Burmester from the FSU Computer Science department. The competition was both sponsored by and held at Raymond James in an effort to promote cybersecurity talent in students from universities nationwide in the areas of IT and Computer Science. 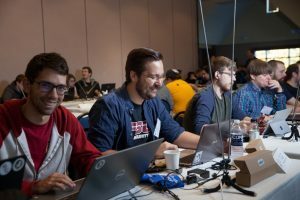 The teams competed over one day, working on challenges that tested their skills in a variety of areas including reverse engineering, malware decoding and analysis, forensics, packet captures, steganography, and web exploitation. The event also featured some interactive team building exercises such as lockpicking, Lego building, and drone racing to earn additional points. 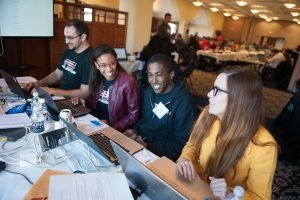 “Capture the Flag competitions are a great opportunity for Cybersecurity students to learn new techniques and test their skills. In most cases, it is illegal to attack real life cybersecurity problems, so CTFs give us a safe, legal alternative,” stated Mitch Schmidt, President of the FSU Cybersecurity Club and Cybersecurity graduate student. The team from Florida State University, n0l3ptr (pronounced ‘nole-pointer’), finished in 2nd place and were awarded $5,000. 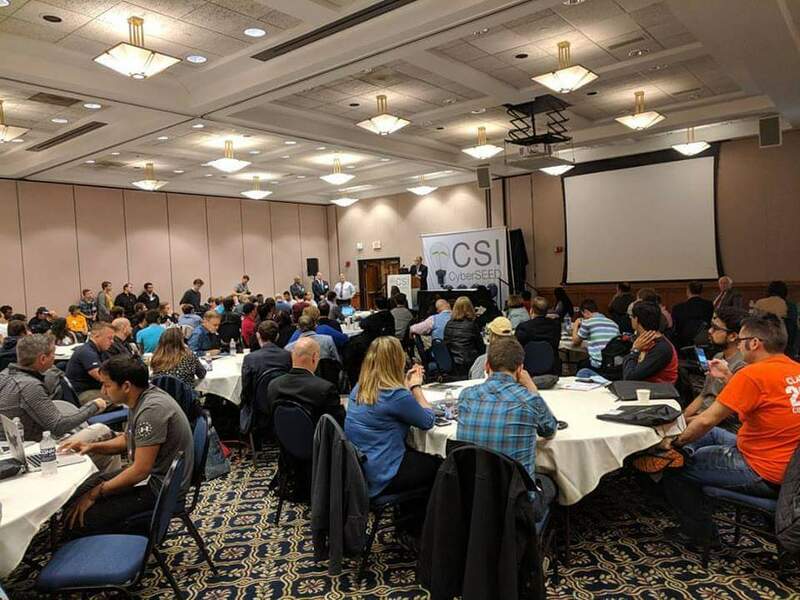 Students from Florida State University also had the opportunity to compete against teams from around the nation in two competitions at CSI CyberSEED at the University of Connecticut (UCONN) from October 19th to October 20th. Douglas Hennenfent, Becky Powell, Johann Thairu, and Charisa Powell formed the Social Engineering team. In addition, Mitch Schmidt, Shawn Stone, Ian Michaels, and Nathan Nye competed in the Capture the Flag competition. 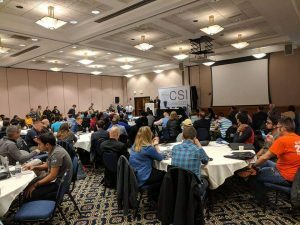 In the Social Engineering competition, participants were challenged to use their skills of social engineering to infiltrate a fictitious medical company. 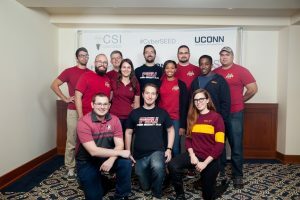 In order to attain points, the competitors had to work as a team to complete a variety of activities developed by UCONN, such as recovering passwords and participating in fabricated interviews to gather information. Over the two-day competition, Florida State University’s team, n0l3ptr, rose to win 1st place, collecting $10,000 in prize money. Designed by Cisco, the Capture the Flag competition revolved around the securing and attacking of IOT devices. 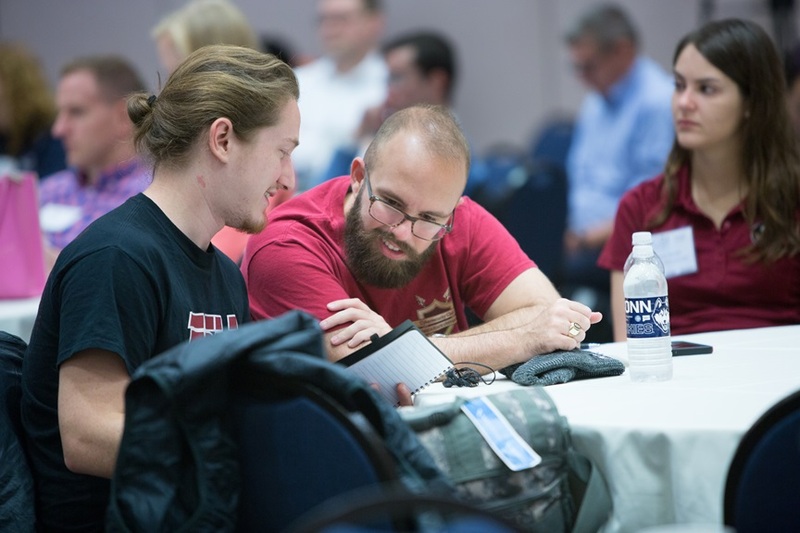 Over the duration of two days, the FSU team worked to solve challenges in network analytics and forensics, cryptography, steganography, radio transmission security and exploitation, IOT security, and software analytics. The four Cybersecurity students from Florida State University finished in 4th place and were presented with Super Nintendos. 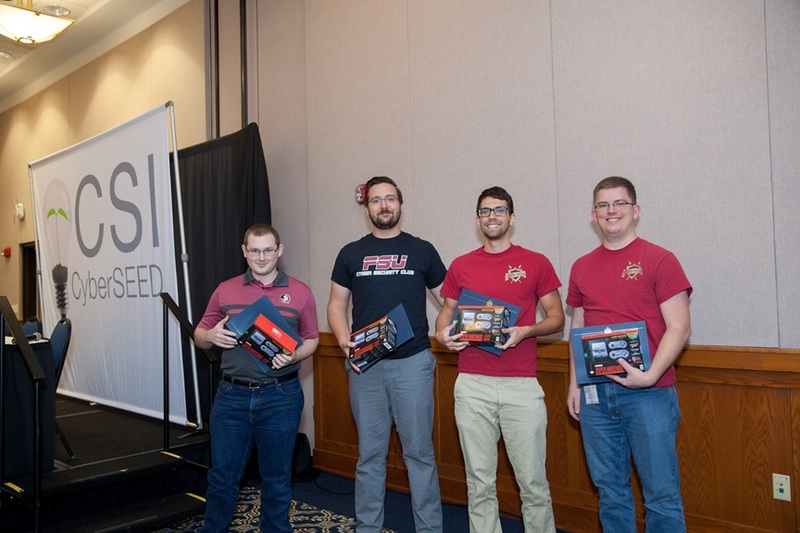 In addition to on-site competitions, these students compete with the rest of the FSU Cybersecurity Club in online Capture the Flag events all year under the team name, n0l3ptr. The Florida State University team is currently ranked 106th internationally, 11th nationally, and is the 6th ranked American University team on CTFtime.org. The club currently has 40+ active members and meets every week on Thursdays at 5:00pm in Shores 206 (Goldstein Library). In addition to competing in CTFs, the club presents on a wide variety of cybersecurity related topics in an effort to promote interest in the field amongst students at Florida State University.